Chosen as Game of the Year in the "Mac App Store Best of 2012" selection. • Discover what led to the events of the groundbreaking Deus Ex in this visionary prequel, set 25 years before the original game. • Experience truly open-ended gameplay in a world where your every choice has a lasting consequence. 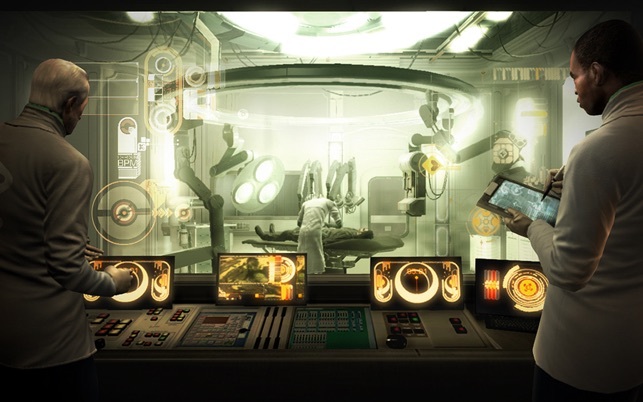 • Unlock and upgrade augmentations to Adam’s limbs, eyes, brain, skin and lungs as you develop his body to suit your playing style. • Wield the power of robotic limbs to perform brutal takedowns on your foes. • Become invisible, move silently and see through walls as you use stealth upgrades to sneak past deadly troops and penetrate forbidden zones. • Hack into security systems to read e-mails, disable surveillance cameras and unlock doors to hidden areas. • Make friends and influence people! Become a master of persuasion and convince intriguing characters to give you information and behave as you want them to. • Immerse yourself in strikingly inventive futuristic visions of Detroit and Shanghai, where cyberpunk sensibility meets Renaissance aesthetic. Explore every corner of these cities to uncover hundreds of secrets. 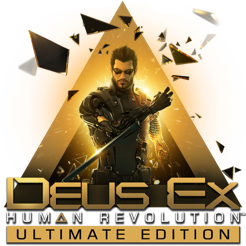 • Deus Ex: Human Revolution - Ultimate Edition contains The Missing Link DLC and the Explosive Mission and Tactical Enhancement expansion packs. • The game also contains a 44-minute "making-of" documentary, a 40-page book of design and concept art, motion comic, a soundtrack composed by Michael McCann and three trailers. • Minimum System Requirements: Processor: 2.0 GHz, RAM: 4GB, Graphics: 256MB, Free Space: 17GB. • The following graphics cards are not supported: ATI X1xxx series, ATI HD2xxx series, NVIDIA 9400, NVIDIA 7xxx series, NVIDIA 320M, Intel HD3000, Intel HD4000 and Intel GMA series. DEUS EX: HUMAN REVOLUTION © 2010-2014 Square Enix Ltd. DEUS EX, the DEUS EX logo, EIDOS, the EIDOS logo and the EIDOS MONTREAL logo are registered trademarks of Square Enix Ltd. SQUARE ENIX and the SQUARE ENIX logo are registered trademarks of Square Enix Holdings Co., Ltd. Mac, the Mac logo, Apple and the Apple logo are trademarks of Apple Inc. registered in the U.S. and other countries, used with permission. 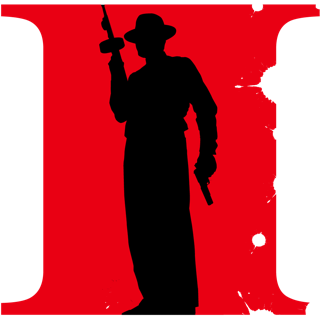 Published by Feral Interactive Ltd. Feral and the Feral logo are trademarks of Feral Interactive Ltd. All other trademarks and copyrights are the property of their respective owners. All rights reserved. • Fixes an audio track issue that was affecting the final video of the game. • Fixes an issue that was affecting the right-click function on trackpads. • Improves support for third-party mice, keyboards and graphics tablets. You don’t need to be cybernetically, or artificially enhanced to enjoy this truly groundbreaking game. 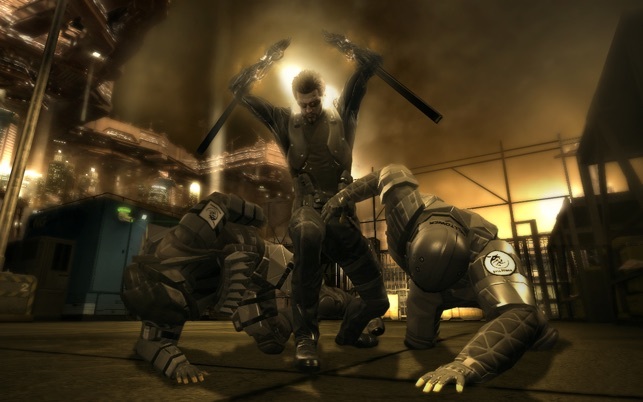 Remniscient of the original Deus Ex from 2000, this game gives the player total freedom of choice to interact with the gaming world in whatever the player deems appropriate. Want to go in guns blazing? —No Problem! The plethora of guns available will keep even the most die-hard FPS fans happy. Want to try a sneaky and non-confrontational approach instead? — No Problem! 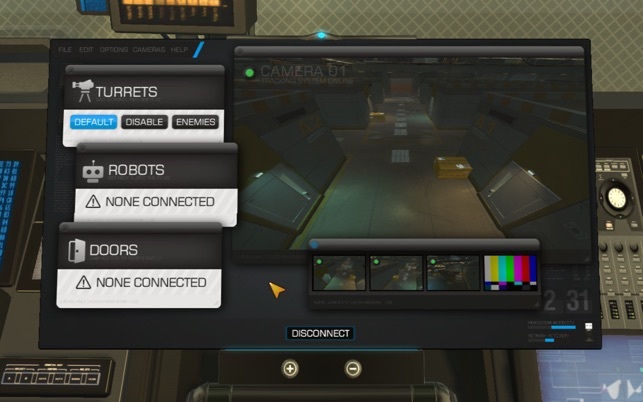 The game encourages stealth over brawn. 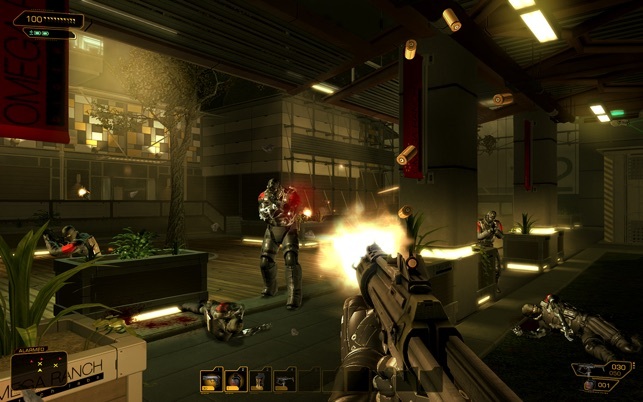 With its flowing, open approach to mission structure, thoroughly engrossing story and gorgeous visuals, this is the kind of game that will keep you engrossed in the story and gives Deus Ex fans a true follow-up to the revolutionary original Deus Ex in 2000. The only gripe I had with this game is that it doesn’t seem to be too optimised for Mac. Even with a very powerful MacBook Pro (Retina 2014), the game feels a bit sluggish and the cooling fans sound like a Jet-Engine when playing… Headphones are a must for this game, if you’re on a MacBook Pro. 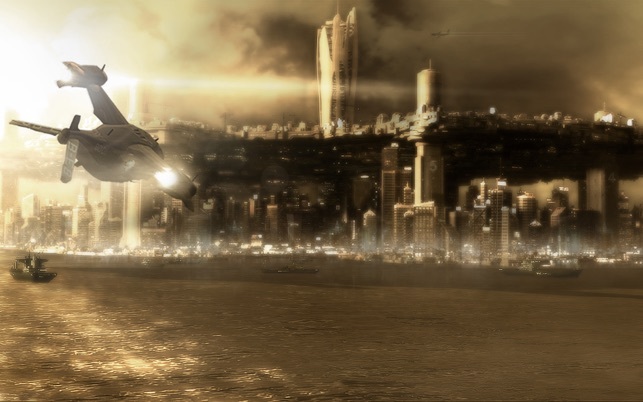 DEUS EX: HUMAN REVOLUTION © 2010-2014 Square Enix Ltd. Developed and Published for the Mac by Feral Interactive Ltd.